Unique and engaging employment branding, messaging, and tools for college students. 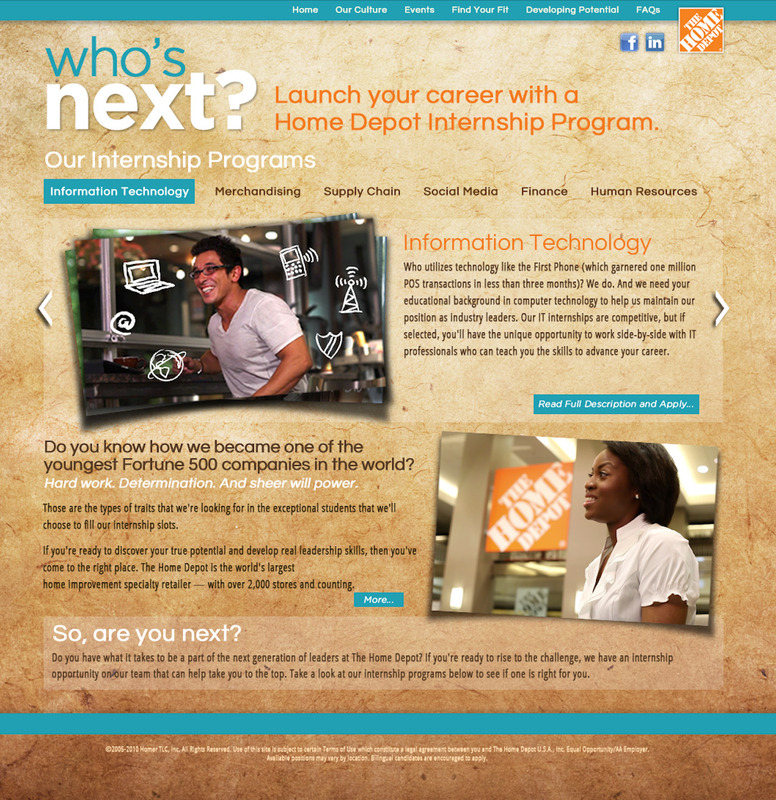 We wanted to create a segmented experience for college/university students. The goals were to showcase internships, integrate social media channels, promote campus events, and highlight leadership programs. We focused messaging on aspirations, values, diversity, and scope of work. We also added an event calendar and a feedback form to create a communication channel for the students. The team has a limited desktop only UI - a single page UI with limited categories and expandable content areas. They recognized that they needed a more robust, mobile and desktop UI/UX that could easily accommodate additional sections. As part of the discovery and information architecture process, I conducted a series of focus groups to establish user personas and expectations. During initial design phase, we also conducted feedback sessions with the same groups. University specific color palette, icons, etc. Next I created the wireframes and prototypes and we met first with the internal partners to review, then we distributed to previous focus group attendees with a feedback survey. Feedback at this stage in the process was much easier and more efficient to integrate into the overall design. I was also tasked with creating new targeted assets for the page. We identified locations around the corporate headquarters and culture that would appeal to new or recent college grads. I conducted location scouting, casting, shot lists, crew, and principal photography. 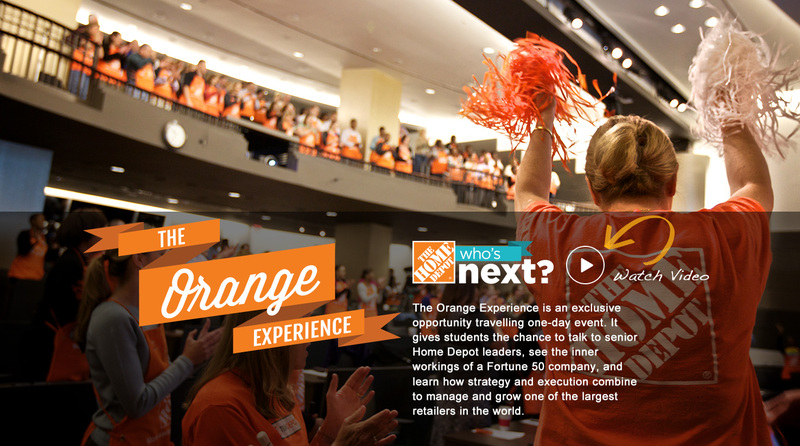 After the page was rolled out, the team created an exclusive 5 city event/campaign called "The Orange Experience". I managed creative brief, production, and user experience integration. Since we planned ahead, we were able to easily add the new copy, design, photography, and video and roll it out quickly.